Fort Walton Beach, FL. - The law firm of Gross and Schuster is pleased to announce the addition of two new law partners, Rhett Gross and Tyler Gross, both personal injury attorneys in Fort Walton Beach. Both attorneys graduated from the Florida State University College of Law and worked as Assistant Public Defenders before transitioning to civil practice. They have been practicing personal injury law for several years, handling a wide range of injury cases. Rhett and Tyler have had the pleasure of learning from two very experienced personal injury attorneys. Terence Gross and Charles Schuster, the founding partners, are both board-certified specialists in civil trial law by the Florida Bar Association. Both Mr. 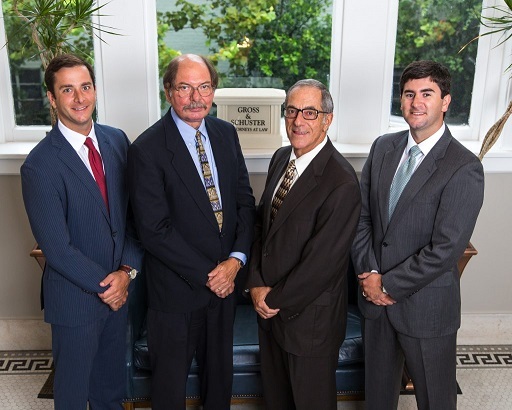 Gross and Mr. Schuster are respected Fort Walton Beach car accident lawyers having more than 80 years of combined legal experience. Terence Gross has tried more than 100 jury trials to verdict and is AV rated by Martindale Hubble.